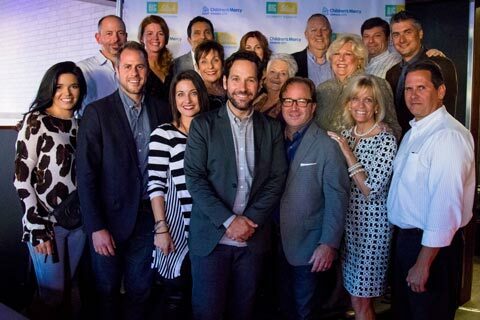 Back in 2010, Rob Riggle called fellow Shawnee Mission graduates Paul Rudd and Jason Sudeikis with an idea. "Let's host a poker tournament to raise money for Children's Mercy." Without hesitation, they each agreed and immediately called upon their family and friends to help pull it off. 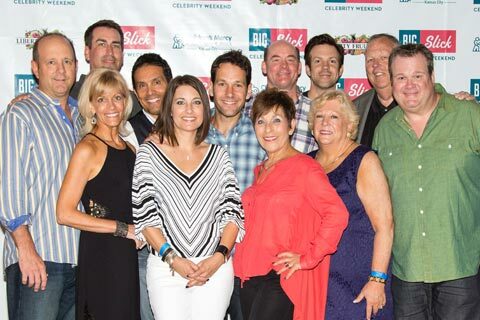 With only nine weeks of planning, the Big Slick Celebrity Weekend was born. 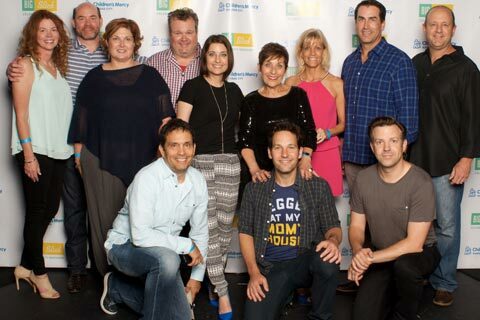 And friends like Will Ferrell, Director Adam McKay, Bobby Cannavale, George Wendt and SNL Alum Will Forte helped raise over $120,000. Since then, the guys and other celebrity guests have raised more than $8 million through sponsorships, a live auction and an online fundraising campaign. Because the entire event is planned and supported by the volunteer efforts of the family, friends, and the help of Children's Mercy staff, Big Slick tries very hard to keep expenses to a minimum and dollars directly to the kids at a maximum. But the benefits have not just been financial. 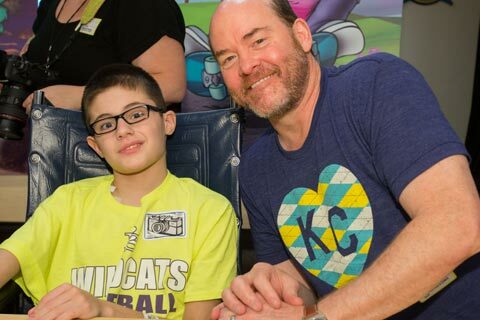 Over the years, the attention that Big Slick has brought to Children's Mercy has helped with their recruiting efforts attracting top medical and research talent. Big Slick also helped to expose an even larger audience to the nationally recognized work being done at the Cancer Center. 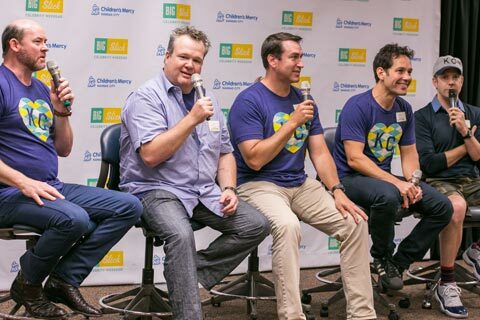 In recent years, Rob, Paul and Jason invited Big Slick alumni and area natives Eric Stonestreet and David Koechner to join them as hosts. Together the five of them, along with their families and friends, are hard at work planning this year's event. Through patience, creativity and a whole lot of fun, Big Slick is once again, making an impact on the lives of children and their families in one of the community's most valuable assets. Children’s Mercy, located in Kansas City, Mo., is one of the nation’s top pediatric medical centers. The 366-bed, not-for-profit hospital provides care for children from birth through the age of 21, and is ranked by U.S. News & World Report as one of “America's Best Children's Hospitals.” The Cancer Center’s mission is to help improve the physical and emotional well-being of children with cancer and their families. With more than 20 pediatric oncologists on staff, the Center provides comprehensive care to nearly 2,000 children each year with childhood cancers, sickle cell disease, hemophilia and other blood disorders. At any given time, the Center is participating in nearly 100 clinical trials, including several national trials led by Children’s Mercy investigators. In addition, Children’s Mercy is a consortium partner of the NCI-designated University of Kansas Cancer Center. For more information about Children's Mercy and its research, visit www.childrensmercy.org.